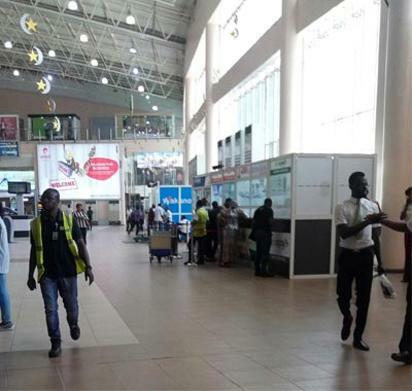 Nigeria Civil Aviation Authority, NCAA, Tuesday, hosted a sensitisation workshop on the commencement of the Single African Air Transport Market, SAATM, which will finally be launched sometime this week during the AU Summit in Addis Ababa, Ethiopia. The aviation stakeholders’ workshop with the theme: SAATM Implementation: Its Impact on the Nigerian Aviation Industry and National Economy, held at NCAA headquarters in Lagos, had the Secretary- General of the African Civil Aviation Commission, AFCAC, Ms. Iyabo Sosina and representative of the International Air Transport Association, IATA, who are the critical stakeholders and who have the tremendous responsibilities to actualise SAATM. Nigeria was among the countries that declared their commitment to establish the SAATM by 2017 upon the adoption of the declaration by the Assembly of Heads of State and Government of the African Union in January, 2015. Usman also said it is important that the sensitisation workshop is organised to intensify awareness campaign among the critical stakeholders which include airlines, airports, ANSP, aviation sector downstream, tourism industry etc, on the impact as well as benefits of SAATM on the industry and national economy. He enjoined all stakeholders to come together to improve the aviation support base in Nigeria and embrace as well as harness the opportunities that a Single African Air Transport Market has to offer. The post NCAA sensitizes stakeholders, as SAATM commences appeared first on Vanguard News.